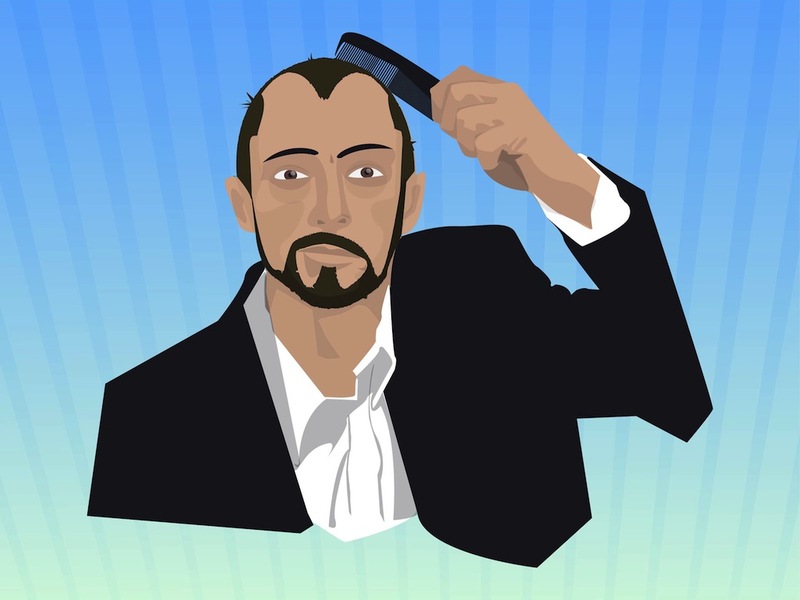 Cartoon vector illustration of man in a formal suit coming his hair. Messy hair with many small pieces sticking out, funny expression on the man’s face and formal wear with no tie. Free vector illustration for all kinds of fashion, style, morning routine, hair care, hair styles and appearance design projects. Tags: Appearance, Beard, Comb, Combing, Face, Fashion, Formal Suit, Style.